Last week, September 1, 2017, HPE and Micro Focus completed their spin-merge of HP ALM Software, including HP Quality Center. With the transaction complete, Micro Focus announced their new “Strategy and Business Model”, outlining their four-year strategic vision. Here is our take on their new strategy. Their main focus for 2018 and 2019 is to step back and rationalize the organization and then stabilize the top line revenue. This investors-first, customers-second approach means that instead of investing in building a better product for their customers, they plan to focus on bottom line growth for investors by cutting costs. Micro Focus is betting that their customers will hold on and accept this profit-focused approach. Given the challenges in the market, we are having a hard time believing this “strategy” will help their customers win. And we think HP/Micro Focus customers deserve better. 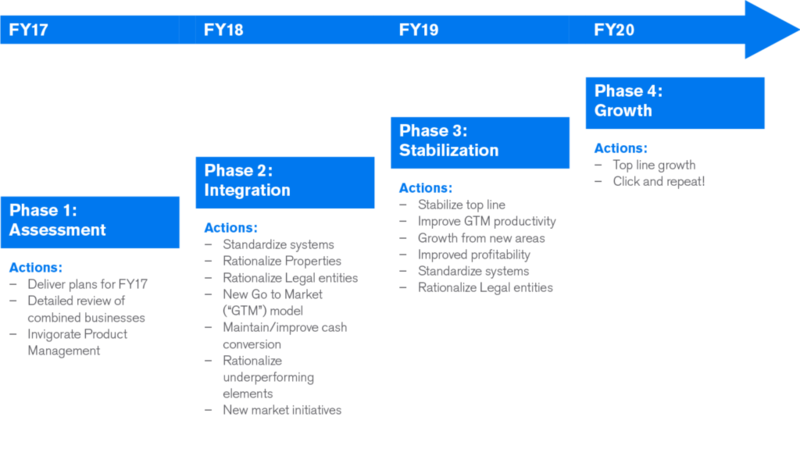 Before we dive into what HP/Micro Focus customers deserve let’s look at Micro Focus’ 4-year plan. Micro Focus appears to be driven by short term profits for their investors, leading the organization to cut costs, slow down development, and launch fewer products. 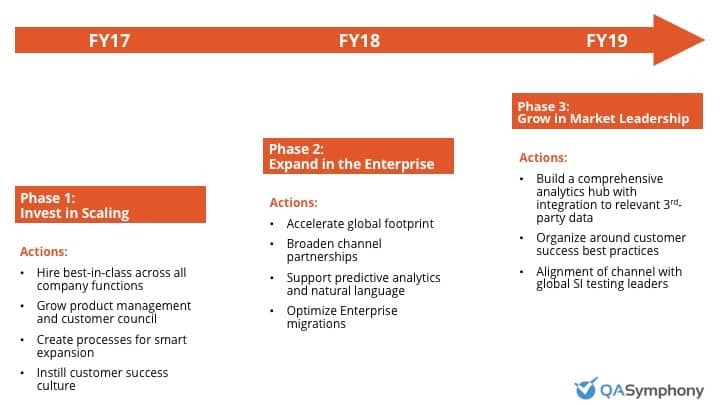 We don’t see any mention of product growth until 2019 and 2020. We have seen the collapse of HP ALM Software coming for a while now. If you haven’t been listening, I hope you are now. Things are only going to get worse for HP Software customers. At QASymphony, we think HP/Micro Focus customers deserve better. QASymphony is taking a customer-centric approach, by significantly investing in the future or our products and our customers. Looking for proof? Here are a few of the ways we are investing, and positioning ourselves as the champion for all testers. If you have been on HP Quality Center/ALM for a long time, the prospect of changing can be scary. You have a lot invested in the HP software stack. Your team most likely went through lengthy training sessions and implemented tricky workarounds to “integrate” HP alongside your SDLC toolset. If you are moving to an Agile or DevOps approach to test faster, HP software is probably not going to be the right partner. At QASymphony, we continue to invest heavily in our products and create new, innovative solutions that our customers love. Many enterprise companies that were previously reliant on HP software have already recognized that HP is a sinking ship and successfully made the switch to QASymphony.